Garage Makeovers Projected to Be the Biggest Home Renovation Trend of 2018! 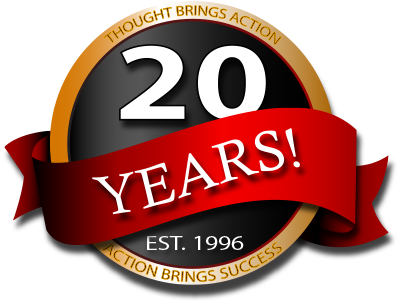 Undisputed Industry Leader for More than 21 Years! 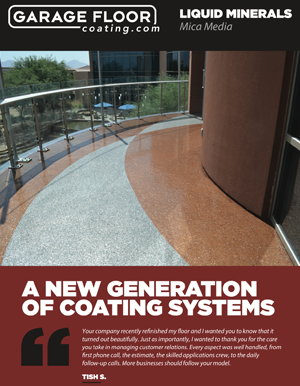 We have been providing innovative, industry-leading concrete coating solutions for more than 20 years. We take pride in our work and we focus on exceeding our customers’ expectations every day, on every job. Our products have coated over 60,000,000 square feet of concrete, and we handle every type of job imaginable—from garages to basements, patios to driveways and warehouses to airplane hangars. 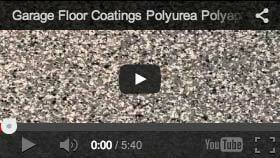 GarageFloorCoating.com is the most recognized and trusted concrete coating company nationwide. 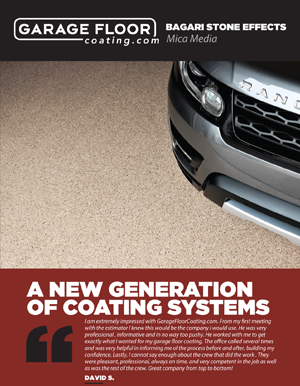 When most people hadn’t even heard of – or considered – coating their garage floor, GarageFloorCoating.com understood that market trends would soon make the garage one of the most important rooms of the house. 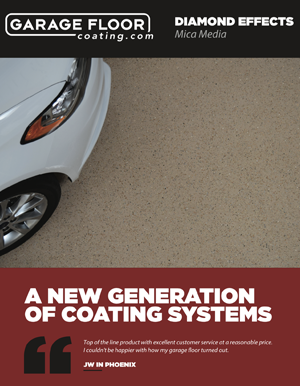 And when other companies were settled on unreliable paint applications, GarageFloorCoating.com was busy developing a permanent molecularly bonded coating process that continues to exceed industry standards. 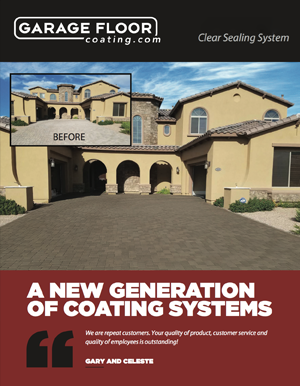 Now, GarageFloorCoating.com is on the leading edge once again; this time, by making franchise opportunities available to anyone who has the same visionary innovation and drive to succeed. Garages are no longer the dirty, disorganized and forgotten rooms of the past and now more than ever, new homes are built with garages that house at least two cars. In 2017, for example, 84% of all newly built homes included a garage that can accommodate at least two cars. More importantly, 82% of home buyers agree that the garage is an important factor in making a decision while purchasing a home. Garage enhancement is now the fastest growing segment in the home improvement industry. 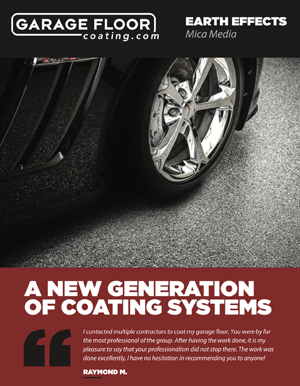 With over 60,000,000 square feet of coating experience and a reputation for total customer satisfaction, superior workmanship and highly developed production techniques, GarageFloorCoating.com is poised to become a national forerunner in the booming garage enhancement market. The company is actively expanding both regional and national market share through franchise development and for success-minded entrepreneurs, the opportunity is great. 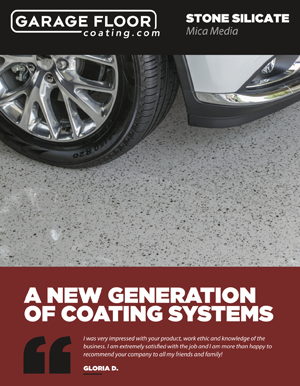 Our years of experience in this sector and our industry-leading technology make us the number-one garage coating company in North America. Our ideal franchise partner is aggressive, a strong leader, results-oriented and excited about long-term growth. Those with a willingness to learn our system and a commitment to our proven GarageFloorCoating.com success formula. Franchisees who will be dedicated to perfection. Bottom line, garage ﬂoor enhancement is booming and it’s a perfect time for success-driven entrepreneurs to embrace this growing opportunity. If you have the desire to build your own successful home improvement business, a franchise with GarageFloorCoating.com is the right decision. The research and development, the brand reputation, the centralized marketing and billing system, even the customized technology and operating systems are already in place. All you have to do is make the choice to succeed. Avoid wasting time on the wrong opportunity. We understand that you have many choices when searching for a franchise. You must focus your time wisely in your search for the right business. We may be a very good fit for you. ambitious, serious about business ownership, and able to make decisions. willing to commit to the validation process, and perform responsible due diligence. planning on opening in a red state below? ∗We will educate you on the safest and most common ways to secure investment capital. Please note this franchise is accepting inquiries ONLY from the states shown in red above. Interested parties should have at least $150,000 to invest. Proprietary Systems, 5 YEARS Ahead of the Competition! This information is not intended as an offer to sell, or the solicitation of an offer to buy, a franchise. It is for informational purposes only. Currently, the following states and countries regulate the offer and sale of franchises: In the U.S.: California, Hawaii, Illinois, Indiana, Maryland, Michigan, Minnesota, New York, North Dakota, Rhode Island, South Dakota, Virginia, Washington, and Wisconsin. International: Australia, Brazil, Canada (Alberta and Ontario only), China, France, Indonesia, Italy, Japan, Kazakhstan, Korea, Malaysia, Mexico, Romania, Russia, Spain and Taiwan. If you are a resident of one of these states or countries, we will not offer you a franchise unless and until we have complied with applicable pre-sale registration and disclosure requirements in your jurisdiction.